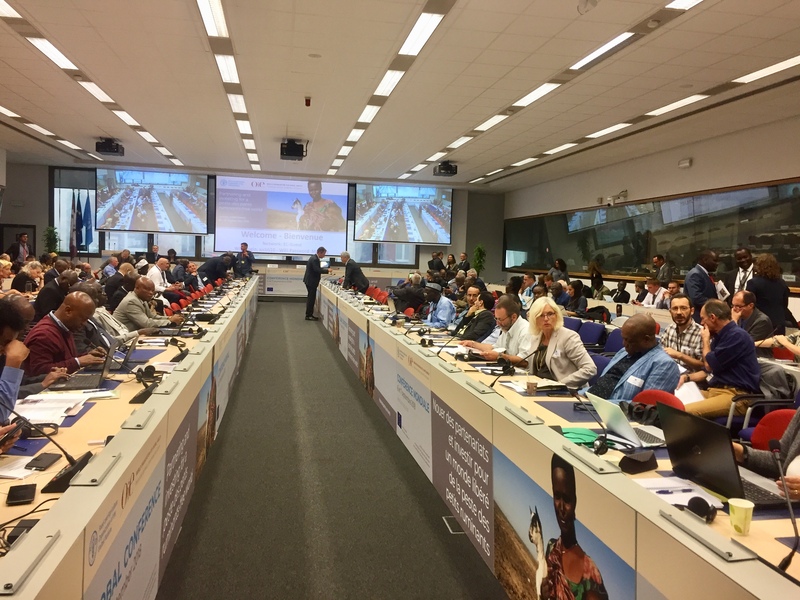 VSF International participated to the FAO-OIE Global Conference on Peste des Petits Ruminants (PPR) held in Brussels on 6th and 7th September 2018. 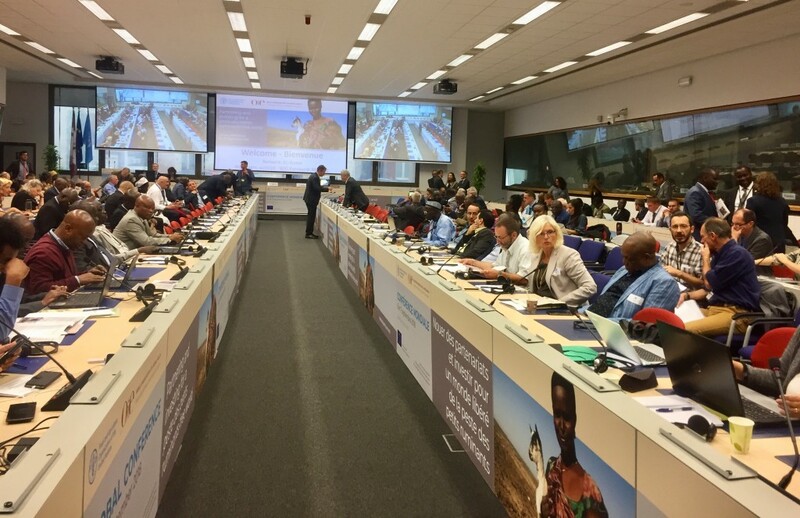 The conference, titled “Partnering and investing for a Peste des Petits Ruminants-free world”, counted over 150 participants including ministers and other high-level officials from countries affected and at-risk of PPR, as well as international organizations, NGOs, pastoralists’ representatives, veterinarians and private sector representatives. It was organized as a two-day event. On the first day, a Stakeholders Forum focusing on technical issues and challenges related to national disease eradication policies was attended by a broad range of civil society and private sector organizations, which produced a declaration with recommendations for successful PPR eradication strategies. On the second day took place the main conference session with high-level political interventions, where representatives from affected and at-risk countries shared their experiences, challenges, and commitments, and resource partners expressed their pledges for support. In the past two decades, PPR has spread rapidly, mostly in Africa, Asia and the Middle East. The disease causes more than $2 billion in losses each year and threatens the food and nutritional security of millions of vulnerable households who raise sheep and goats in the affected regions. Small ruminants play a significant role to support the livelihood of rural families and their resilience against various shocks. Sheep and goats, differently than cattle, are present sparsely in small herds all over the world, even in very remote areas. Benefit of PPR eradication would be huge in terms of improved livelihoods and food security. Implementations of PPR eradication strategy is an opportunity to mobilize funds to strengthen veterinary services in some countries where they are still weak. This will also generate wide-ranging benefits in the fight against other diseases. However, today presence of veterinary services (either public or private) is very scattered, insufficient or even non-existent in many rural areas, pastoral areas or war-affected areas. If PPR eradication has to be achieved by 2030, as agreed through the Global Eradication Strategy, other partners from the civil society shall be involved in order to assure disease control in these remote and vulnerable areas. During the conference, some examples of successful Public-Private Partnerships were provided. In Afghanistan, for instance, PPR control reached very good results thanks to the active involvement, on the whole national territory, of Veterinary Para-Professionals, trained by NGOs and hired by the Government. It becomes clear that, in areas where there is no sufficient vet service available, animal health service delivery through partnering with NGOs and livestock keepers is key if we want to achieve the ambitious goal of eradicating PPR within the proposed time-frame. In remote and fragile areas, disease control becomes much more complicated and difficult, also due to security issues. If PPR remains uncontrolled in these spots, the spillover of disease to surrounding countries will continuously break down the entire process, due to the intrinsic characteristics of extensive livestock production systems, including animal mobility. This could be also the case of disputed territories or non-recognized states, where NGOs could be mandated as a legitimate actor to implement vaccination campaigns. In parallel, long-term efforts should be made to strengthen public and private animal health services and assure territorial coverage through solutions and institutional setups that are adapted to the needs of local livestock keepers and mobile pastoralists. 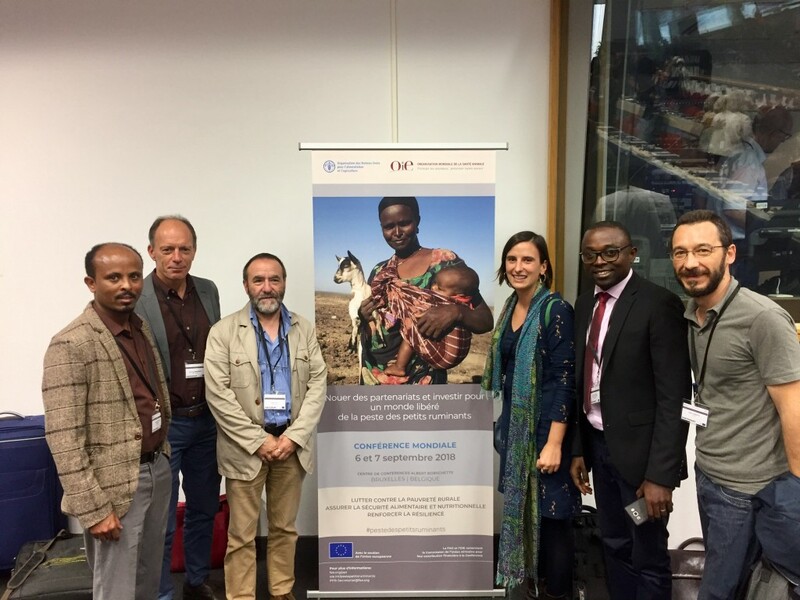 During the conference, representatives from the global pastoralist civil society network, pointed out that livestock keepers have a fundamental role in assuring animal, human and environmental health within their communities, and therefore they need supportive partnerships that recognise their contributions. In order to be effective, PPR eradication strategies at national level should be fully informed by pastoralists’ and livestock keepers’ communities and involve them as key actors. Furthermore, as stressed also by Monique Eloit, director general of the International Organisation for Animal Health (OIE), women play a significant role in keeping small ruminants, and their fundamental role in PPR control should be acknowledged and leveraged. The success of Rinderpest eradication was due in many countries to the strong involvement of NGOs and the strategic collaboration with well-trained Community Based Animal Health Workers (CAHWs). CAHWs, livestock keepers themselves and members of the local communities, did the mass vaccination campaigns, reaching out to the most remote places on foot and by bicycle. They were even able to move and deliver within their communities in war affected areas. NGOs trained CAHWs networks, supplied them with vaccines and equipment, provided the cold chain, logistics and professional expertise. In parallel, livestock keepers’ communities were trained on disease surveillance and sampling. This successful approach will be again needed in those fragile and remote areas where government and other structures are not sufficiently present. FAO and OIE should take an active role in identifying – together with the governments – the most adapted strategy to implement PPR eradication plan across the national territory, on a case-by-case analysis, including through Public-Private Partnerships involving NGOs, CAHWs and other veterinary para-professionals and the national veterinary services. In Ethiopia (Somali and Afar regions) and South Sudan (Tic East region) VSF Suisse and VSF Germany are directly involved in the national PPR eradication program designing & implementation. In Ethiopia, the government-owned project in its first phase (December 2015-November 2018) was financed by the EU-SHARE through the technical support and coordination of FAO. The project directly involved VSF Suisse and VSF Germany as key partners whose main flagship activities are associated with livestock-based livelihoods. Since the Ethiopian government acknowledged the key role of non-state actors to reach the most remote regions of the country, a specific budget was allocated for them. VSF Germany operates in Afar region in 16 districts and VSF Suisse in 37 districts of Somali region in partnership with local governments under the overall coordination and technical support of FAO. Both VSFs are directly accountable for improved real-time understanding of the transboundary animal diseases status in the pastoralist areas of the country and for improved capacity to implement effective disease control programmes. In the last three years VSFs have been supporting the hard-to-reach pastoral areas of Ethiopia in understanding the PPR situation and control through enhancing the efficiency of grassroots animal health professionals and CAHWs and also the regional government veterinary service by: strengthening livestock disease reporting system; capacity building on participatory disease surveillance; supporting active disease surveillance; capacity building support to implement disease control programs. The Ethiopian government has revised its National PPR control Strategy (2017-2027) and developed an action plan in alignment with the regional & global strategies to ensure a PPR free country in year 2027. However, as the EU-SHARE funds will end on November 2018 challenges associated with limitation in resource for pastoral areas are foreseen which will pull all the good initiatives back. In Somaliland, both FAO and AU-IBAR are involved in a PPR Eradication campaign. VSF-Suisse is negotiating with FAO and OIE and lobby for government support to be taken on board. In other countries such as Niger, Burkina Faso, Mali, Senegal, Togo, Mauritania, Western Sahara, Ghana, DRC, Burundi, Rwanda, Uganda, Tanzania, Malawi, Madagascar, Ethiopia, Kenya, Somalia, South Sudan, Sudan and Mongolia, VSF is supporting the private or public veterinarian services and, when allwed by national legislation, we train community-based animal health workers (CAHWs), who play a significant role in PPR vaccination (among other treatments). Although these actions are not directly linked to the specific PPR eradication national plans, they surely contribute to the global eradication goal.